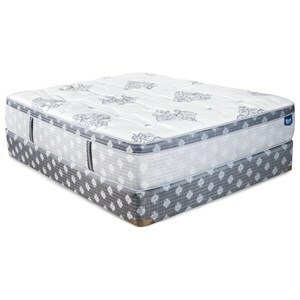 The @Last Resolute Valiant ET Twin Extra Long Coil on Coil Euro Top Mattress and Prodigy Lumbar Adjustable Base by @Last at Zak's Home in the Tri-Cities, Johnson City, Tennessee area. Product availability may vary. Contact us for the most current availability on this product. 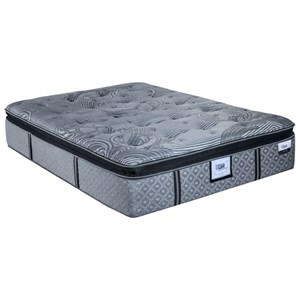 The Valiant Euro Top Mattress, from @Last Resolute by Restonic, is built for long lasting comfort. 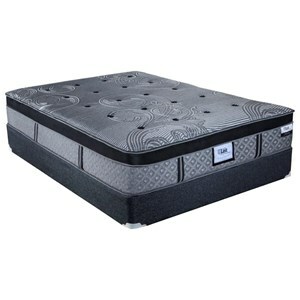 A Layer of Individually Wrapped Mini coils along with two layers of Patented Serene Foam, give you ultra pressure relief and comfort, that will last for years. Supported with one of the heaviest duty spring units ever made, a six turn, 12 1/2 Gauge Knotted Offset Coil, that is built to last. These coils are Encased with High Density Foam to both firm up the edge and give you more surface use. The Hand Tufted Cover includes Joma Wool, Poly Gel and Patented Chiller PCM finish provides the perfect temperature control. A long lasting Cushion Firm Mattress. 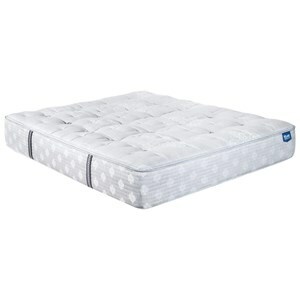 The @Last Resolute Valiant ET collection is a great option if you are looking for Mattresses in the Tri-Cities, Johnson City, Tennessee area. Browse other items in the @Last Resolute Valiant ET collection from Zak's Home in the Tri-Cities, Johnson City, Tennessee area.